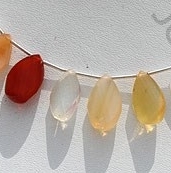 Ratna Sagar Jewels offer you national stone of Mexico – Mexican Fire Opal in twisted flat pear shape. 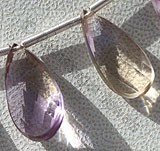 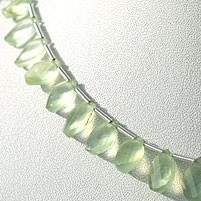 The unique stone is known for its powerful healing properties. 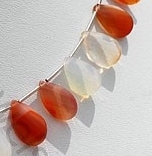 The Mexican fire opal twisted flat pear shape is nothing less than a marvel because the shape itself is very difficult to make and what makes it tougher is the fact that Mexican fire opal is very difficult to handle. 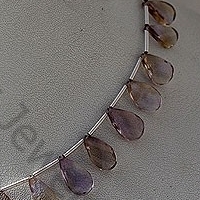 A very minute cut in a wrong way will make it lose its sheen. 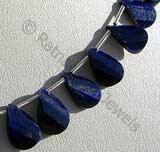 Our artisans with utmost care have carved the shape especially for gemstone lovers. 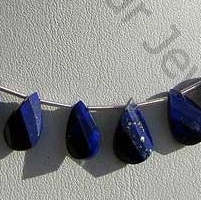 It is comes up as a perfect gem collector item. 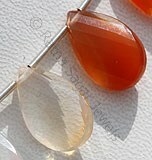 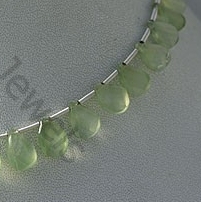 Order today our beautifully designed gemstone to get it an affordable price. 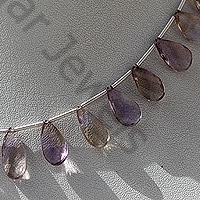 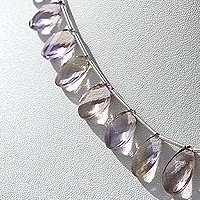 Ametrine Natural Gemstone is combination of Citrine-Amethyst quartz, possess property of transparent with vitreous luster and are available in purple-yellow light color with spiral cut, Twisted Flat Pear Shape. 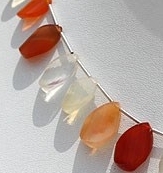 Natural Fire Opal Gemstone is most colourful of gems, possess property of transparent with vitreous luster and are available in white-orange-red color with artistic spiral cut, Twisted Flat Pear Shape. 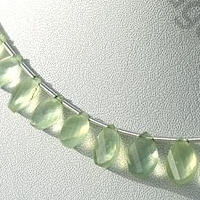 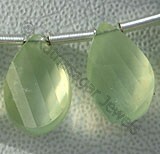 Natural Prehnite Gemstone beads appear cloudy or velvety and possess property of semi-transparent and are available in light-dark green color with yellowish tinge in artistic spiral cut, Twisted Flat Pear Shape. 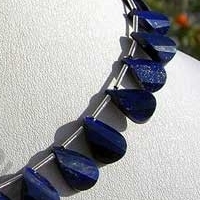 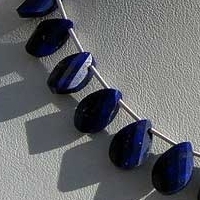 Natural Lapis Lazuli Gemstone possess property of opaque and are available in deep blue Color with sparkling specks of pyrite in artistic spiral cut, Twisted Flat Pear Shape. 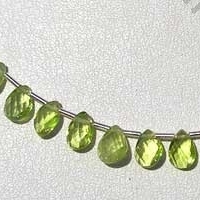 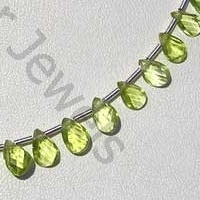 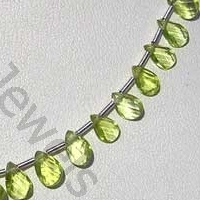 Peridot Gemstone is a variety of mineral Olivine, possess property of transparent with vitreous luster and are available in olive-green color with artistic spiral cut, Twisted Flat Pear Shape.